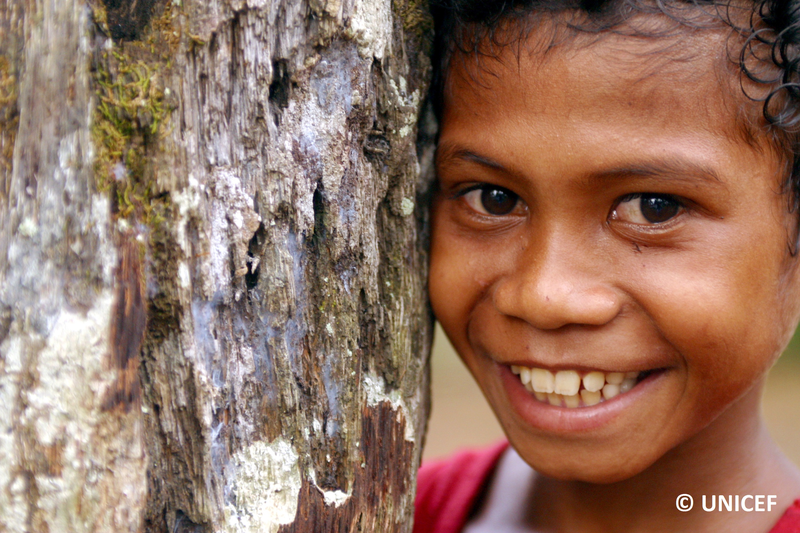 According to the Papua New Guinea’s 2011 census, half of the country’s children under five years old are stunted. Furthermore, the earthquake which hit the country in February 2018 has increased the risk of stunting and malnutrition among children. Vitamin A is crucial for the healthy development of children, in particular to fight against childhood blindness. L’OCCITANE commits with UNICEF to prevent childhood blindness by funding international programs for the distribution of Vitamin A.
Nagita is a 5 year-old girl living in a village not far from Mendi, the capital of Southern Highlands Province. From the time she was six months old to the time she turned four, Nagita has missed out on eight doses of Vitamin A supplementation, which is necessary to boost its immune system and help prevent blindness. Today, Nagita has the stature of a three-year-old girl, a typical presentation of stunting. From now on, Nagita is receiving Vitamin A in her village because a health team has visited her village to provide integrated nutrition and immunization services as part of response activities UNICEF supports for communities affected by February’s earthquake.